I know, I know! I'm updating too soon! But I just wanted to update and got tired of editing the last, miles-long update. So anyway.. decided to do a little revamping of the website. Nothing like a new layout (I wanna stare at my drawing a little longer *w*), but I've been going around changing things and adding things. Let's see.. Nothing special at all. Not even a character! Anyway, I updated the credits page with any new resources and whatnot. I've also elaborated a bit on the sites that are my inspiration. Go check it out. Two out of four aren't around anymore, but visit the other two and get inspired! After ripping my eyes out, I re-coded the past layouts page. It's a little more organized now. And lastly, I didn't do much with the playlists. I edited the blurb before them, but that's about it. Now for the actual content. I'm working on it. And wanted to take a break. So I thought I would update. Ahah. 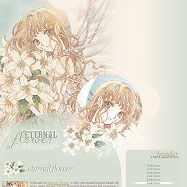 I changed the look and feel of the website layouts page and gaia profiles page. They are a little bit more professional now. At the moment I'm going through each and every layout, organizing the HTML and CSS, fixing and adding read-me files, and rezipping them, to make them more user-friendly. I've gotten through the latest two layouts and am working my way down. I did add those previews to the brushes page. I'm thinking of adding previews to the tutorials, but that will be at a later time. Lastly, I added a poll! Please vote! Cause I was looking at some of my layouts in IE and I was like wtfodnshdfbdshkfhsdiofj!!!!! Yeah, the colours don't match and some stuff is way outta' place. I don't know. If a lot of people still use IE, I'll go back and fix the faulty layouts. So yeah.. let me know. Anyway, I'll get back to work.. you vote in that poll!!! Go go go!! That's right! 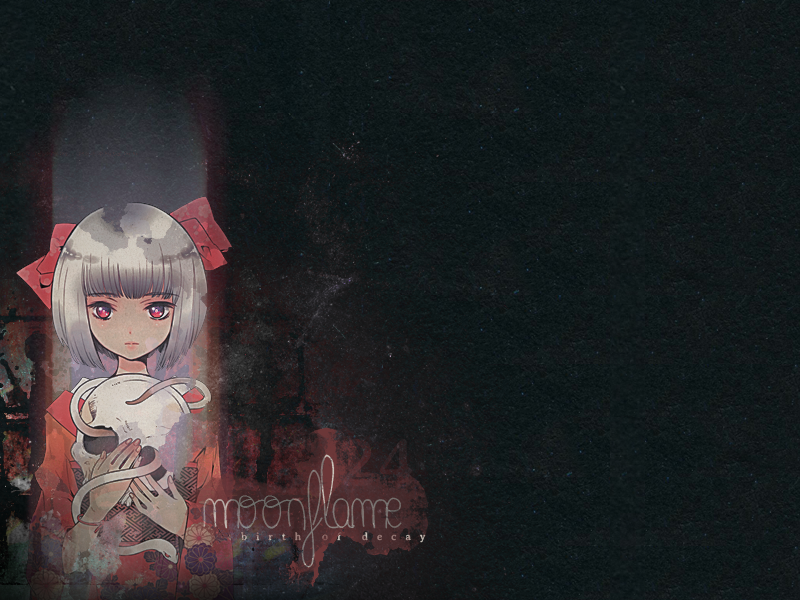 It's time for spring cleaning of Moonflame Designs :D I've already started with a few places, such as the signatures page and the hiatus signs page, which is linked because I added a new sign for the few that I deleted. 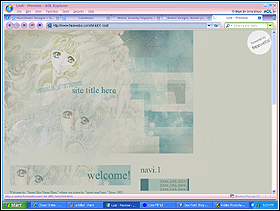 To be cleaned are the welcome signs page, the bookmarks page, and the website layouts page, which I started on today. I didn't just want to delete the layouts I don't like anymore. Some of them have potential. So, I decided for the ones I really like (and can find a similar image for the header) that I would recreate them.. sorta. Ahah. 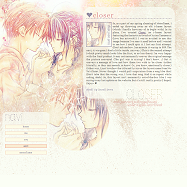 So, I started with Moonflame's first layout, Lost. Anyway.. um, enough about that. The avatars page is a new page so it doesn't need cleaning. (And a added a new one. I'll attach it to the end of the update.) I'm fine with keeping the three (count em, three!) Gaia layouts, though I will not be making more, and I need to add little previews on the new brushes page Done! (thanks for the suggestion Cali!). Anyway, school has been giving me a run for my money this semester and I'm trying hard not to fall behind. However, when class gets boring, I find that doodling helps make the time fly by a little faster. I have this neat little white drawing pad and my Sakura microns with me nowadays, so I decided to doodle some brush designs. So, Moonflame now has a brushes page, with four sets to start it off. They are common brushes: hearts, splatters, scribbles, and smudges. I drew em all though cause I can :p Just kidding. Well, sort of.